MAY 2018 started a new chapter in ESI history. 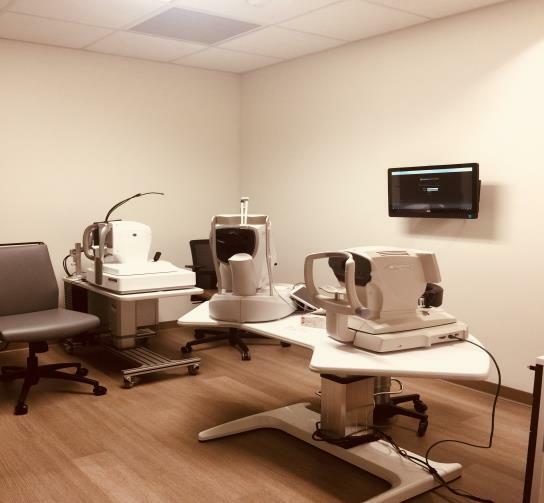 We performed our first two weeks of laser assisted cataract surgeries in the new and improved, state of the art, Surgical Care Center. While we have owned a LENSAR since 2016, we have recently decided to incorporate it into our new home and make it a routine offering to our patients to provide them with best technology available. How does it improve the Advanced Cataract procedure? Although it's a common belief that lasers have been used in cataract surgery for years, this is not true. With the introduction of the Lensar® laser system, laser cataract surgery has become a reality, and our surgeons can now remove cataracts in a more advanced way. Laser cataract surgery is made even more precise by Lensar's cataract laser with Augmented Reality™ technology, a unique imaging system that provides your surgeon with a sophisticated, 3-D view of your eye to help plan and treat your cataract. With this advanced technology, we can offer a better, more precise cataract removal procedure that is customized to the eye’s own unique size and shape. Advanced pre-op testing allows a customizable treatment plan for improved patient outcomes. The laser uses the unique map of the eye and specific software settings to make incisions more exact. We can use the laser to treat astigmatism. The laser also softens the cataract and uses less ultrasound energy for quicker visual recovery. This technology allows for better placement of premium lens implants for optimal results. "The Lensar® laser system allows our surgeons to perform a 100% customized procedure"
We continue to provide advanced technology and excellent customer service, all designed to enhance outcomes and improve the patient experience! Stay tuned for even more exciting things to come!